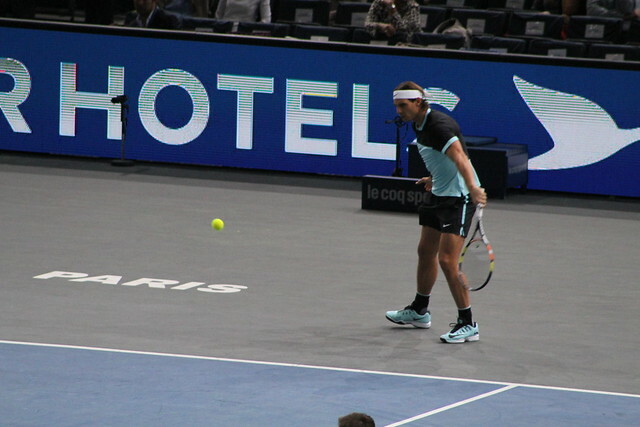 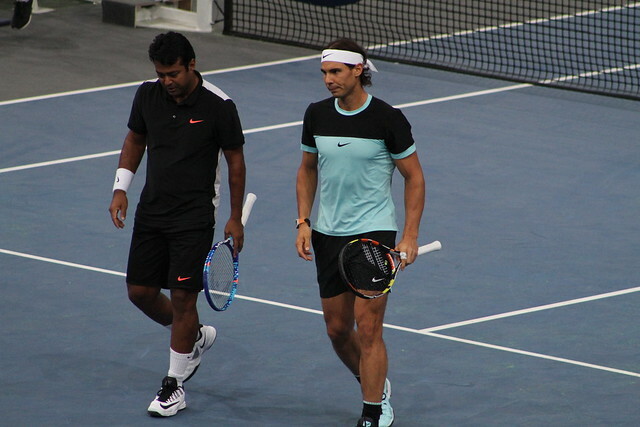 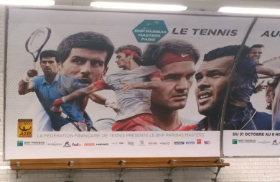 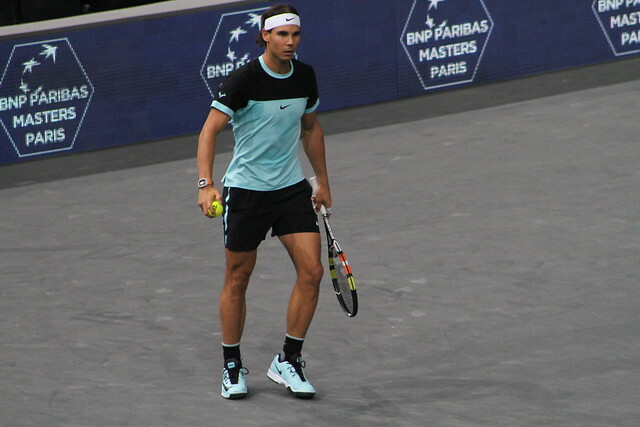 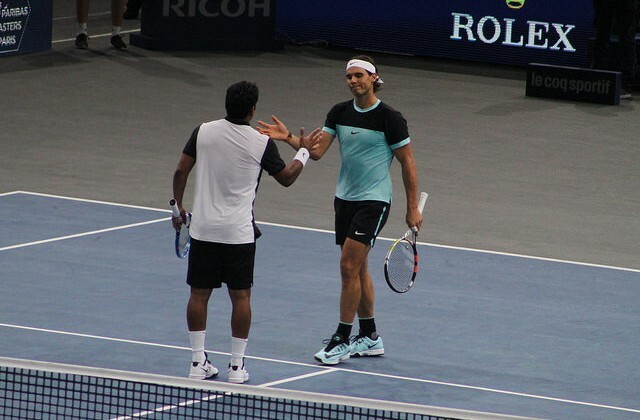 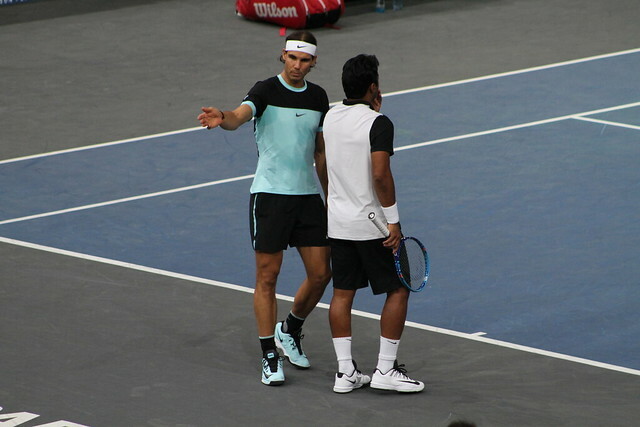 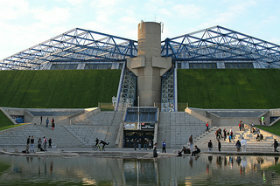 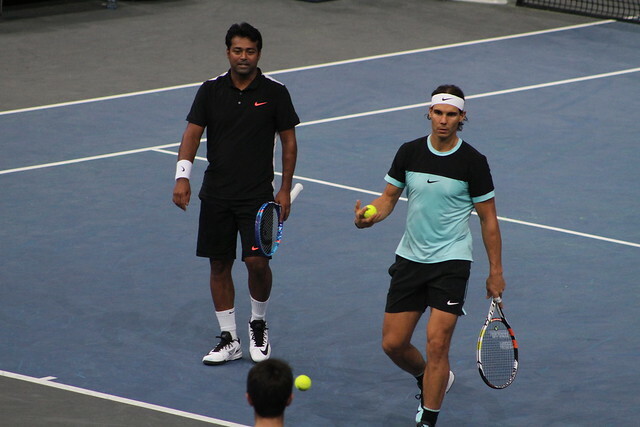 Rafaael Nadal teamed up with veteran Leander Paes to play doubles in Bercy this week. 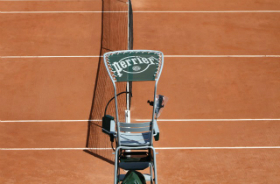 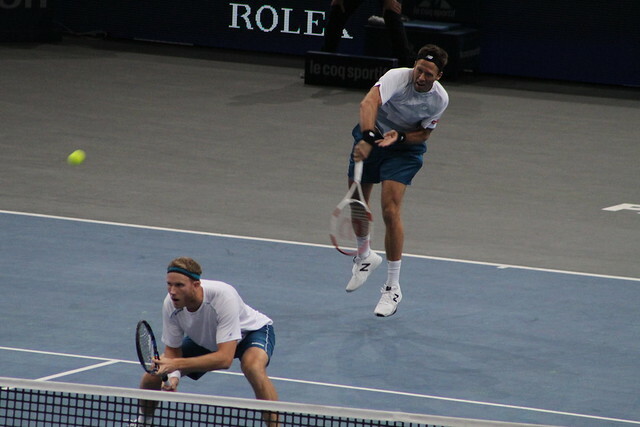 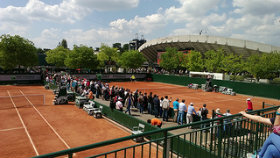 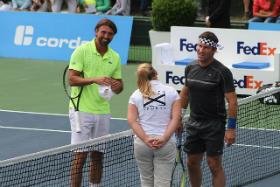 They lost in straight to Dominic Inglot and Robert Lindstedt in the first round. 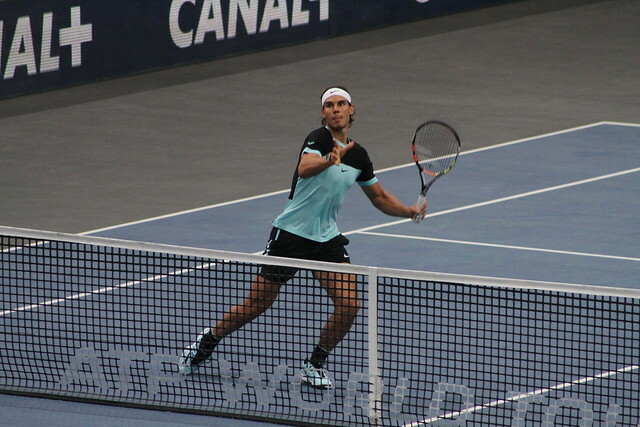 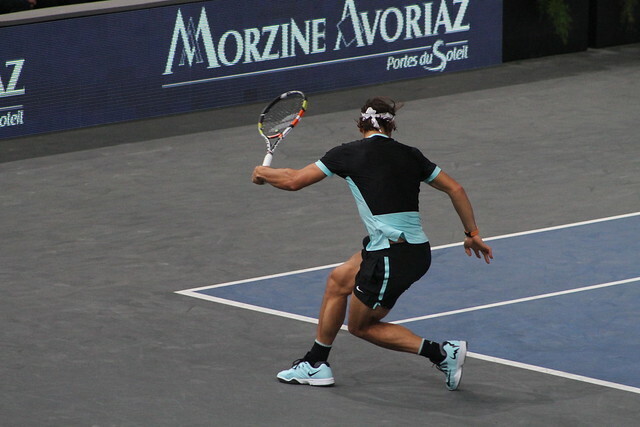 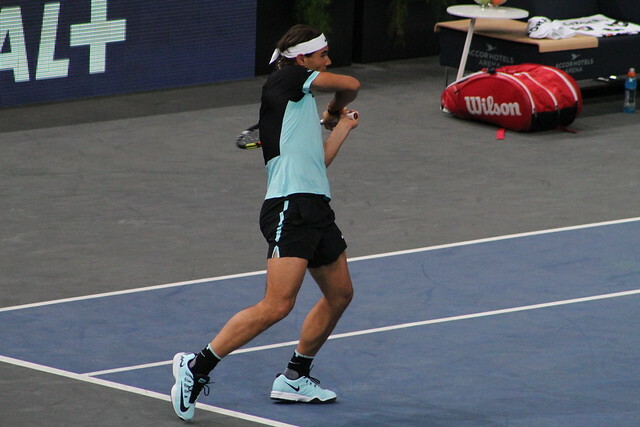 Rafa seemed to have trouble finding his rythm and missed lots of volleys. 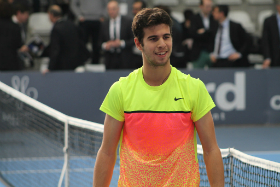 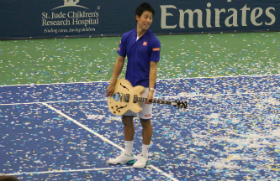 He’ll play his second round singles match against Lukas Rosol tomorrow.